Updates from me to you! Mostly on TCGS stuff, plus any announcements about my tours or cool events. I promise, I never bombard people with this thing unless it's about something worthwhile. Copyright ©2019 No Cool Kids, Inc.
A new book by Chris available NOW! 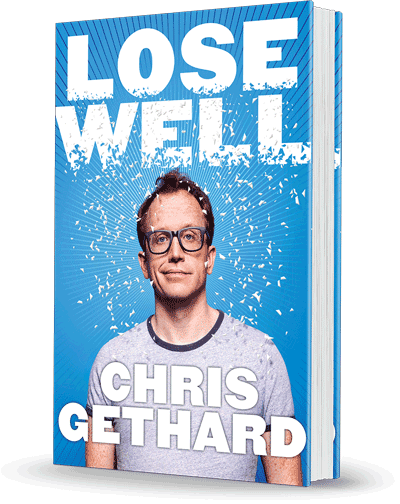 For anyone who ever felt like they didn’t fit in or couldn’t catch a break, comedian and cult hero Chris Gethard’s Lose Well offers laugh-out-loud, kick-in-the-pants advice on how to embrace failure and start living life on our own terms.